Until recently when the Boko Haram terrorist group took the title of the most volatile region in the federation to the North-east, the Niger Delta militants were seen as one. In some quarters, the militants in the Niger Delta were “freedom fighters”, whose activities was geared towards drawing the attention of the federal government and the world to the plight of the people in the much neglected region, whose land produces the oil that is the mainstay of the nation’s economy. It was in the realisation of the need to correct this that the federal government set up the Niger Delta Development Commission (NDDC) to be the vehicle to drive this radical change in the region, given the fact that the task of developing the Niger Delta is too important to be toyed with and too compelling to waste time upon. Given the fact that the region has suffered enough deprivation and realising the urgent need for a change, President Muhammadu Buhari appointed university don, Professor Nelson Brambaifa as the acting managing director of the commission to drive the president’s dream for a new order in the Niger Delta region. Brambaifa’s appointment came alongside that of the acting Executive Director Finance and Administration, Mr. Chris Amadi and the acting Executive Director Projects, Dr. Samuel Adjogbe, who are experienced technocrats. President Buhari who is also the Minister of Petroleum, who has a deep understanding of the region and recognising the need to redress the situation in the region had charged the new team to be the difference by ensuring rapid infrastructural development and capacity building in the region. On assumption of duties, Brambaifa had hit the ground running. He ordered the resumption of work in ongoing projects especially in the deep riverine areas. Projects in these areas, which are the core oil producing areas, had been abandoned because of the difficult terrain, which makes accessibility almost impossible. The new team had found out that contractors handling some projects in these areas had also capitalised on this difficult terrain to abandon jobs only to claim that woks have been completed on them. But with the arrival of Brambaifa, a man who grew up in the creeks and very conversant with the ways of the creeks and waterways, the situation changed. Being a child of the creek himself from Agbere, a oil producing community on the fringe of the Atlantic Ocean, in Sagbama Local Government Area of Bayelsa State, Brambaifa has seen it all with the eyes of a man with a deep understanding of the terrain, the people and their needs. Brambifa, comes to his new office with over four decades of career experience. To him, his appointment is another step in the effort to offer genuine hope to the Niger Delta people and restore their confidence and faith in rebuilding the region. According to him, there is a new dawn in NDDC and an opportunity to do things differently for the development and actualisation of the aspiration of the people. A Professor of Pharmacology, Brambaifa, has demonstrated the zeal to positively affect the life of his people. As the commissioner representing Bayelsa State on the immediate past governing board of the commission, his vision as the acting managing director of the commission has already manifested within the short period he has led the management team. Given Brambaifa’s tract record and experience as an academic and former member in the immediate past board, he has shown good leadership and competence coupled with the zeal to positively affect the life of his people, his vision as the acting MD of the commission has already manifested within the short period he has led the management team. Braimbifa is insisting that the commission must provide for the region a credible roadmap for building a rapidly growing region and economy which will eliminate prevailing extreme poverty and foster prosperity in an environmentally and socially sustainable level. As a respecter of the traditional institution, Brambaifa at an interactive meeting with traditional rulers from the region said the commission will work with traditional rulers for sustainable development in the region given their crucial role in ensuring peace as well providing a platform for dialogue. He expressed the hope that the royal fathers will continue to support the development process given that they play crucial roles in ensuring peace as well as providing a platform for dialogue in the region. To serve as a clearing house for its projects, he said efforts were being made to revive the Partnership for Sustainable Development (PSD) forum as an important organ for bringing all stakeholders under one umbrella to aid the process of harmonising development projects as enunciated in the Niger Delta Regional Development Master Plan. At a visit of a delegation of the European Union (EU) to the commission, Brambaifa had reminded the visiting team that the commission will strengthen its collaboration with the EU through the Niger Delta Support Programme (NDSP) to resuscitate abandoned water infrastructural projects across the nine Niger Delta states. While emphasising the need to develop a framework to ensure community ownership of water projects in the region, he said much can be achieved through institutionalising community-based management structure for the maintenance and sustainability of basic infrastructure in the region. Brambaifa had also told the Ijaw Elders Council from Delta State, who visited him at the Commission’s headquarters in Port Harcourt that the goal of the commission’s leadership is to uplift the living standard of the people, engage in infrastructural development and drive a robust capacity building. 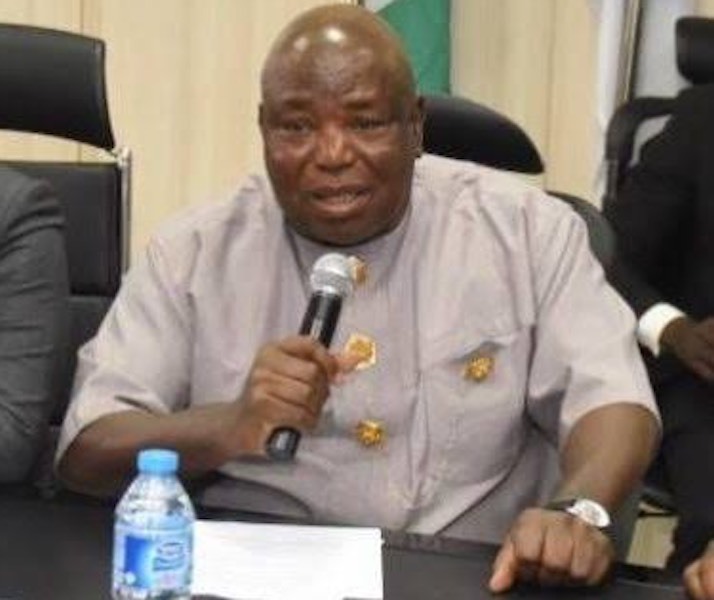 Expressing the urgent need for a renewed commitment by the leadership of the commission, the Minister of Niger Delta Affairs, Pastor Useni Useni, during working visit to commission as the supervisory ministry, told the management team that the federal government is determined to succeed with the programmes at the NDDC. Accompanied by his Minister of state, Prof. Claudius Daramola; the ministry’s Permanent Secretary, Alhaji Aminu Aliyu-Bisalla and other directors of the supervising ministry, the minister said the current NDDC management, being an interim one, was expected to do more for the people of the Niger Delta than a regular board as it has more to prove. According to the minister, his ministry will continue to supervise the commission to ensure that it performs maximally “because the performance of NDDC goes a long way to determine the forms ofagitation we get from the different segments of members of Niger Delta society”. The secretary of the Bayelsa First Initiative group, Mr Mekunisi Aworabi, who also visited the commission, while commending President Buhari for the appointment of Brambifa as the acting MD of the commission, described the appointment as a right step in the right direction. 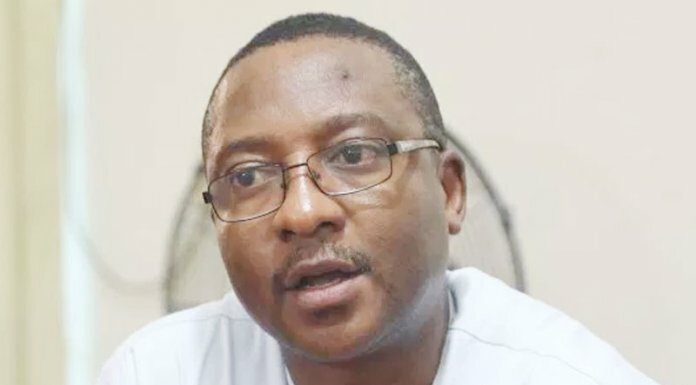 Aworabi said that given Brambaifa’s track record and experience as an academic and former representative of Bayelsa State in the immediate past board, he has shown good leadership and competence within the short period he led the board. Aworabi said the acting MD is already standing up to the challenges of giving direction to actualisation of the objective of the commission. Quiet and unassuming, the managing director started life in Agbere where he had shown brilliance as he made his WAEC papers in flying colours. After his secondary education, Brambaifa proceeded to the Free University, Berlin, in then East Germany where he graduated with a Degree, Vor-diplom Biochemie (Biochemistry) in 1974. In pursuit of higher degrees, four years later and in quick succession, on the path of scholarly procession, he earned his first; Diplom Biochemie in Oral Examination in Biochemistry, Clinical Chemistry, Inorganic Chemistry and Pharmacy graduating with distinction from the same university. By 1982 he has earned his Doktor der Naturwisseshaften (Dr.rer.nat) in Oral Examination in Pharmaology, Biochemistry, Clinical Chemistry and Organic Chemistry, progressing in the process to Research Assistant in Research Laboratories of Scharing, Research Fellow in Scharing Central Research both in Berlin and a post – Doctoral Research fellow at UCLAF in the Loire Valley France. Brambaifa has worked as team leader in Scchearing, Central Research Department of Neuroendocrinology and Neuropscychopharmacology from 1984 to 1993 and became a professor of Biochemical Pharmacology in 1996. As a scientist, his attention to detailed clinical inquiry remains precise. As a teacher on the other hand, he is as inspiring as he is an example of ceaseless scholarship, reflecting a mind of profound intellect and a passion of unerring gusto. He had served as Dean Student Affairs 1992 to 1996 as well as been the pioneer Dean Faculty of Basic Medical Collage of Health Science, at the University of Port Harcourt. He also served as the pioneer Provost, College of Health Science, Niger Delta University Amassoma in Bayelsa state. issues of seeking a credible roadmap for the sustainable development of the Niger Delta region. With a rich academic background, international exposure and socio-political involvement in affairs of the region and the nation at large, there is groundswell of opinion that Brambaifa should transit as the substantial MD of the commission.